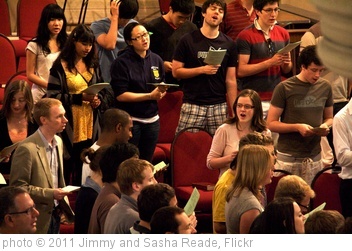 Christianity is a singing faith, and for that -- I think -- we should all be thankful. The Bible -- which governs how we worship -- calls for singing by God's people corporately in both the Old and New Testaments. 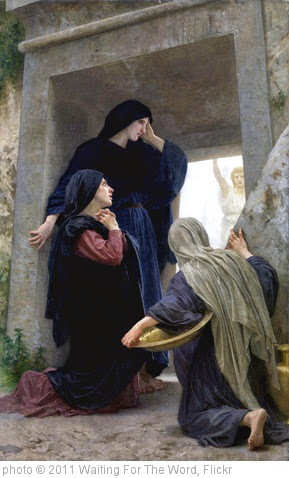 We – the church of Christ – celebrated the resurrection of our Lord the Sunday after I last wrote for this blog. That previous post focused on a discussion some of the Covenant Community Church family participated in the prior Sunday evening regarding the cultural moment we find ourselves in. It is a time of growing intolerance for the biblical view of marriage and for the freedom to express that view. In the days since that post and Easter, I have thought about what the resurrection of Jesus has to do with how we approach the issue of society’s redefinition of marriage. My conclusion? It has a lot to do with it. By God’s providence, I reached on Easter in my preaching series through I Corinthians that great chapter on the Resurrection, Chapter 15. I preached on the first 19 verses of that chapter on Easter Sunday. I plan to cover the remainder of the chapter this Sunday. In I Cor. 15, the apostle Paul explains the indispensability of the resurrection. There is no gospel and there is no salvation without Jesus rising from the grave, he says. Paul continues through 58 verses informing the believers in Corinth about the significance and details of Christ’s resurrection and theirs. He points to the Lordship of Jesus over all things, including death. After providing the most extensive biblical teaching on the resurrection, Paul urges his readers – saints whom he dearly loves – to not back down. Based on what he has written in the first 57 verses, he tells them to continue doing what they are doing. He exhorts them to remain faithful in doing what Christ has ordained for them to do. To say our “toil is not in vain” is not to say we will see the fruit of those labors quickly or even in our lifetimes. But God’s words promise our labor will not be "in vain." For all who are in Christ, we can live with this assurance: Our toil on behalf of Christ and His gospel – a gospel that necessarily includes the resurrection – will be worthwhile. May we stand strong in this cultural moment with that certainty.